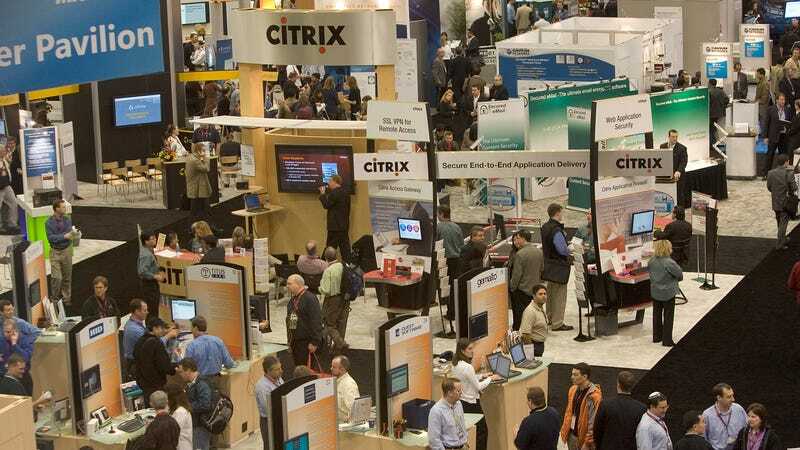 People are seen in the exhibit hall at the RSA conference. The massive cybersecurity conference RSA is facing criticism for booking just one female keynote speaker this year—Monica Lewinsky, who advocates against online bullying. RSA organizers told USA Today that, overall, the conference expects that 20 percent of its speakers will be women, a number that they say reflects the overall representation of women in the security industry. “A diverse speaking program starts with increasing diversity within the technology sector, which needs to be addressed by the industry as a whole,” an RSA spokesperson said. In response, a group of women and non-binary people in security have organized their own conference to highlight their technical expertise. “Some conferences claim this is too hard to do because of the overall lack of diversity in the industry, we’re going to prove otherwise,” a spokesperson for the conference, called OURSA (Our Security Advocates Conference), said. RSA runs April 16-20th. OURSA will be a one-day event on April 17, featuring talks on security engineering, privacy, ethics, and advocating for high-risk groups. Speakers include Eva Galperin of the Electronic Frontier Foundation, Aanchal Gupta of Facebook, Adrienne Porter Felt of Google, Kelly Lum of Spotify, and Sha Sundaram of Snap. In the meantime, Lewinsky is hoping that RSA gets its act together. “I’m disappointed by this oversight but RSA has about six weeks until the conference, so I’m optimistic that the matter will be rectified by then,” Lewinsky said in a statement.